Good food, good company and the chance to shop – how’s that for a winning combination? 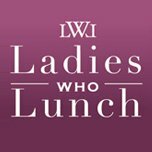 Enjoy all three and help raise money for Beaumond House Community Hospice at their Ladies Who Lunch event at Caunton Beck on Monday 3 November. Tickets, priced £25 each, include a welcome drink on arrival at 12 noon, a delicious two-course lunch with coffee – and there’ll be a goody bag for every guest, a raffle and plenty of time for that all-important retail therapy! To book your ticket, call Julie at Caunton Beck on 01636 636793.